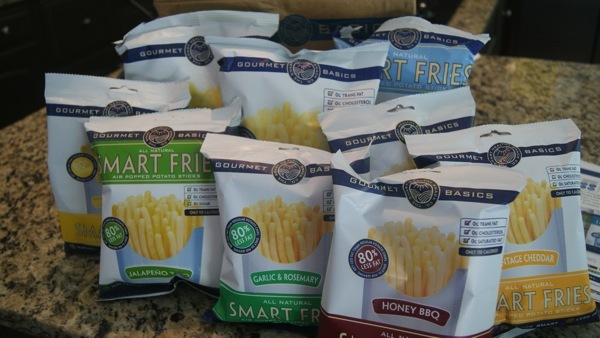 I was recently sent a box of Smart Fries to try and share with you! 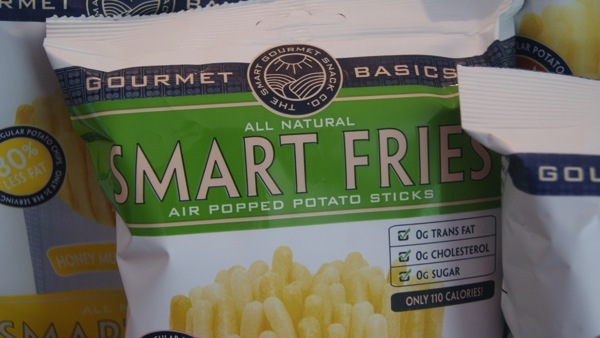 Smart Fries are a new snack made by Gourmet Basics. 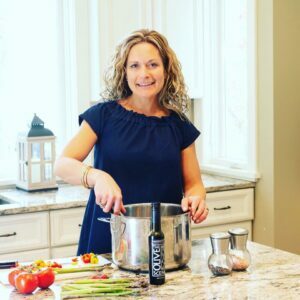 They are made with potatoes, and popped not fried. 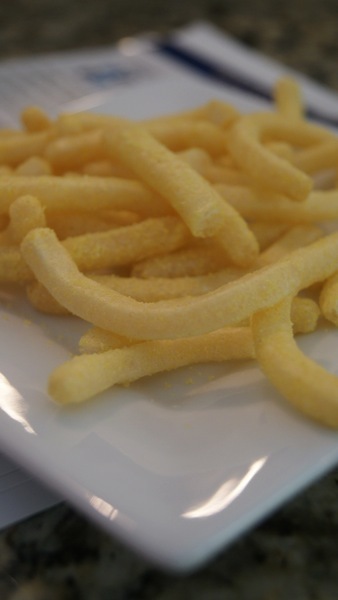 At only 80 calories per serving, they are fun to eat and satisfy a need for something salty and crunchy. 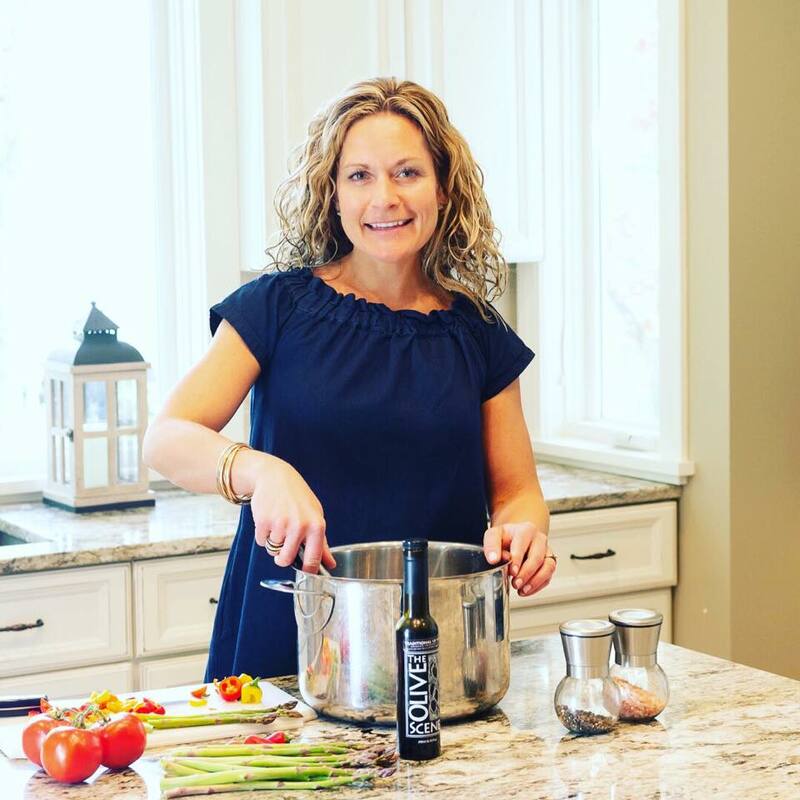 They come in lots of fun flavors: Cinnamon Swirl, Classic Sea Salt, Cracked Pepper & Salt, Garlic & Rosemary, Honey BBQ, Honey Mustard Onion, Jalapeno Trio, Vinegar Splash, and Vintage Cheddar. 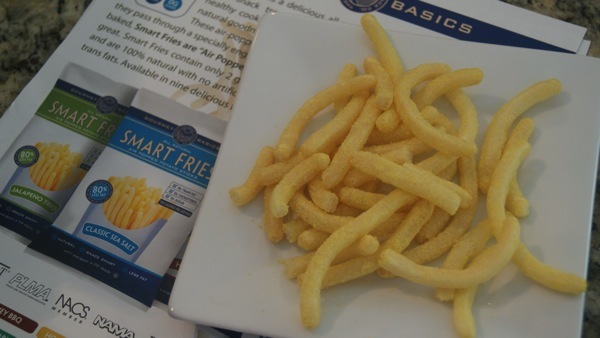 Smart Fries look like real french fries but are super light and crunchy. I really liked the Honey Mustard and Onion flavor (which I was not expecting to love). The Cinnamon Swirl fries are also fun for something slightly sweet! 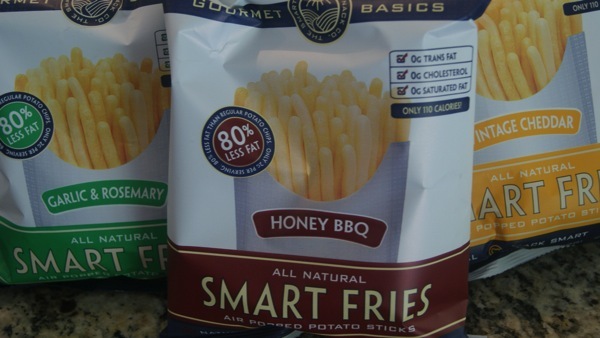 Smart Fries would be easy to pack for kids’ lunches or simple to keep at your desk if you need a salty snack during the day. 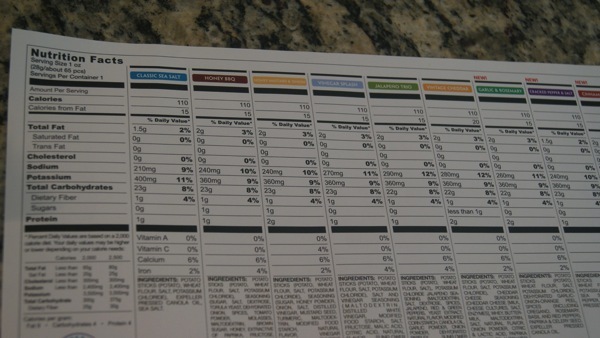 They aren’t filling or full of nutrients, but they are much better for you than your average potato chip.